Mangalitsa Pigs, those lovably roly-poly piggies, produce a layer of backfat the likes of which I've never seen before. Going from two to three inches thick, these heritage pigs produce some serious fat. I used most of the Mangalitsa backfat for dry curing sausages, but it seemed to be a shame to not use at least part of a slab for lardo. Lardo is just that, a European way of saying "lard." Specifically, this is Italian. More specifically, this is from a rather mountainous region of Italy called Colonnata, in Tuscany, where the mountains are rich with veins of marble. As a child I would do yard work for my mother's friends as summer work, one of the hardest jobs being shoveling gravel for driveways. If that was tough, I cannot imagine the sheer exertion required to be a marble cutter in a time before industrial tools. This grueling work required serious energy, and one of the most famous sources of sustenance for these workers was lardo di colonnata. They would eat it as you might enjoy prosciutto, on crusty bread with fresh or grilled vegetables. But lardo is not like lard, the spreadable rendered fat. 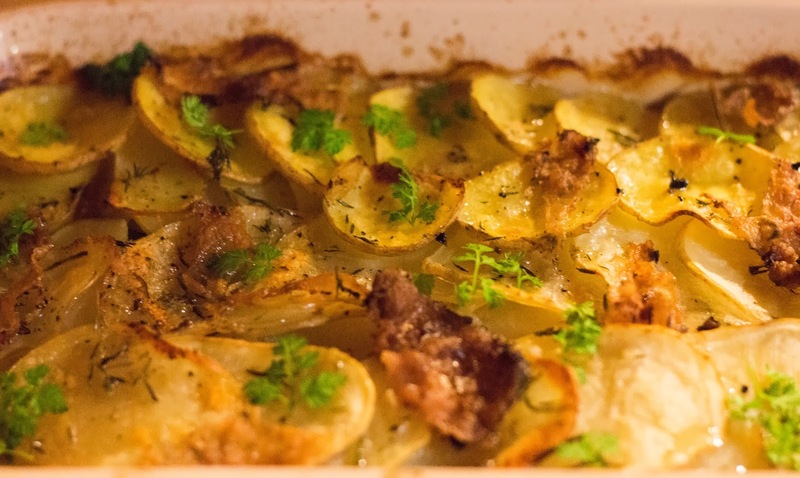 It's slabs of fatback cured with salt and aromatics, such as juniper, rosemary, peppercorns, and bay. Lardo di Colonnata is particularly famous, as it is aged in marble boxes, like enormous stone coffins for curing pork. In Ruhlman's book Salumi he has a funny realization when visiting Colonnata and seeing that the dates on some of the marble tombs are over 400 years old; they've been curing pork in that stone longer than America has been a country. 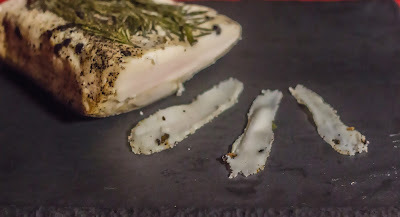 The marble also adds some minerals to the lardo, which gives it a unique flavor that can't be replicated outside of Colonnata. It reminds me of the English slate tanks that are used by Samuel Smith Brewery, which imparts a unique smoothness to the beer and cultivates a particularly flavorful strain of yeast. warm bread. The heat from the bread makes the fat almost translucent and makes the bay and juniper particularly aromatic. Alternately, you can use this fat as a cooking medium, like pancetta or guanciale. I especially enjoyed draping a few slices over a gratin of potatoes in the last half of cooking to render out and season the dish.